In many countries, men and women have different roles pertaining to the use and management of water. Because of these different roles and the way they are assessed, women are often left out of the decision-making process when water issues are discussed. 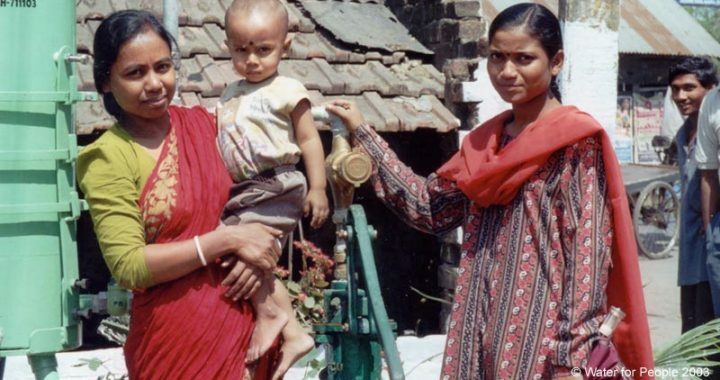 In addition, women’s water needs are often given a lower priority than men’s. This not only places an additional hardship on women, but also inhibits the establishment of truly effective and sustainable water management policies and practices. Few women are in decision-making positions in the field of water management in many cultures, yet women are the prime water suppliers. Women and girls are usually the ones who collect the water a family uses for drinking, cooking, cleaning, and hygiene. They also provide irrigation water for growing crops. Much of their day is devoted solely to the collection of water for the family’s needs. In fact, in some countries women and children may spend up to eight hours a day on this task. Women are also experienced water managers. Because the task of water supply and use falls on them, they must know about water location and reliability, quantity, quality, and how to properly control its use. Scarce water resources force them to become experts at water recycling, irrigation, and proper storage techniques. All these factors make women’s involvement a key part of a region’s water management programs. When women are given access to adequate water for irrigation, crop productively increases significantly. Women have proven to be good farmers when they are given access to land and irrigation water. However, they often do not have the same access to water as men. Many irrigation projects promote the production of cash crops that are usually controlled by men. Women’s agricultural water needs are not given the same priority as men’s, and they are often left out of the negotiations when decisions are to be made about irrigation scheduling. Due to their favoured relations with those in charge of the irrigation program, men are sometimes given the more desirable daytime irrigation intervals, leaving women to water only at night. Since women have reduced access to the larger scale irrigation systems, they must rely on smaller systems or hand pumps. This limits the amount of food they can grow, and makes them more vulnerable to drought. Additionally, the equipment used for irrigation does not favour women. Pump handles are often too high to reach and difficult to operate, and they are not trained in pump repair. 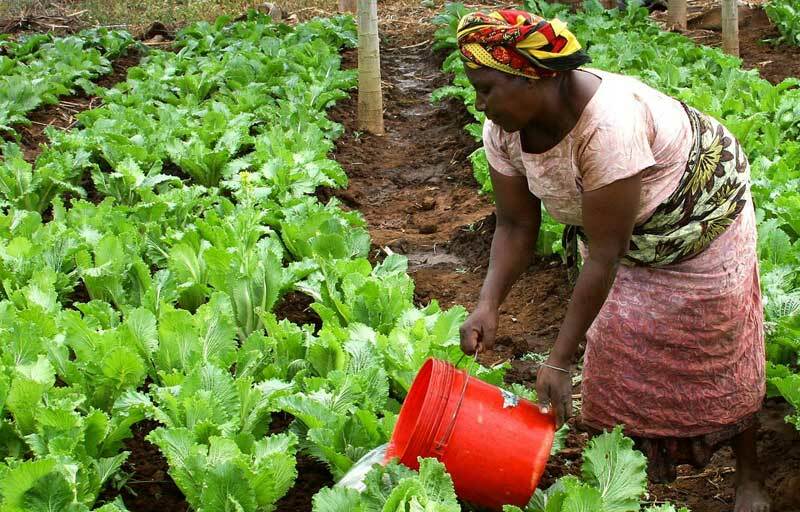 When women are allowed to participate in the design and implementation of irrigation projects, overall productivity has been shown to increase dramatically. The Philippines Communal Irrigation Development Project included women in the planning, design, and operation of the irrigation systems. Two thirds of the community organizers were women, both spouses were allowed to join the water user associations, and women were encouraged to take on leadership roles. This resulted in the project exceeded expectations and crop production was higher than was estimated. Involving women in water management decisions has been shown to significantly increase project success rates. In the past, the success of water projects was often hindered because the planners looked at the community as a group of people who all have the same goals. The reality is that a community is made up of many different people each having a different role and stature. In many cultures, women had a low standing in the community and hence had little input into the planning and implementation of the projects. Many projects failed because they did not factor women’s water needs into the development plans. In Cameroon, the failure to adequately recognize women’s involvement meant that one third of the area involved in an irrigation project remained uncultivated. Recent efforts to include women in all aspects of water management projects have resulted in improved project performance, which promotes the development of sustainable practices. The World Bank reviewed 121 rural water supply projects, and found that women’s involvement strongly influenced their success. By addressing women’s concerns and priorities when dealing with water issues, planners have the necessary information they need to develop effective management plans that will benefit all stakeholders. Sustainable water management will only be possible if all parties are involved and work together to complete the desired goals. In some cultures, women and girls are solely responsible for the procurement of water, often spending hours each day gathering what is necessary to meet daily needs. The likelihood of achieving sustainability in water management is much higher when women are present at all levels of the decision-making process. However, there are many factors that prevent women from taking on leadership roles such as lack of education, a shortage of time, and a lack of confidence that their ideas will be taken seriously. In the Sewukan community of Java, Indonesia, residents evaluated eleven water systems. The participation of women in the process was initially seen as a waste of time by the sub-village head. However, after some women made comments about certain aspects of the project, he admitted they had provided more useful technical information than the men. Additional inputs from the women further expanded the project to include items that were important to them, such as sanitation and improved water distribution. When the women offered to set up committees to design and monitor the new water systems, the male leaders supported them. Since women are the ones who are responsible for the management of water in many cultures, they have a great deal of knowledge about water issues. This fact makes them ideal community educators on issues concerning the environment, water quality, sanitation, hygiene, and water-related health issues. The international community is attempting to address the importance of ensuring that women have key roles to play in water management decisions. There is a growing recognition that women’s participation is crucial to effective water-planning initiatives. Only by working together can a community solve its own unique water challenges. Rick de Vries is the Director of Development for the Fresh Outlook Foundation. He has a background in research and environmental sciences, and has many years of experience writing and editing for environmentally related media. Posted in Society and tagged environment, environmental, health, planning, water management, women.